Nearly ideal summer weather will continue today and into the weekend. This will be our first dry Saturday and Sunday since April and it comes as most area school enter summer mode. Perfect set up for Fathers Day… You’re Welcome fellow dads. 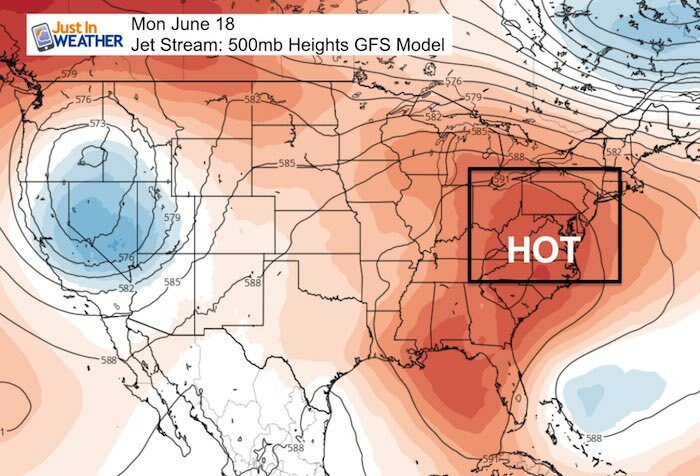 I had mentioned no prolonged heat in sight, but we do have a few hot days on the way. The two questions now are: 1) How hot will it get? 2) How long will it last? There is a discrepancy among the two major models. Below is a comparison of what they show. There has been an error with the GFS (American Model) running too warm. So please take that with a grain of salt, however it may be the primary input for your weather app. 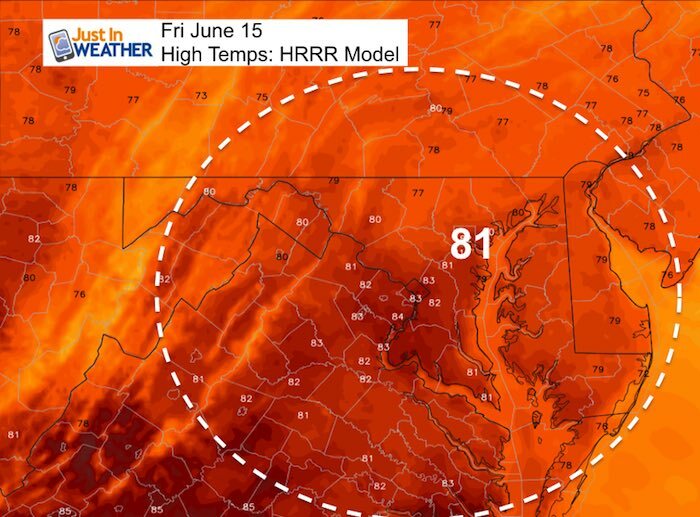 The European Model has run a little cool, as seen with today’s forecast high. 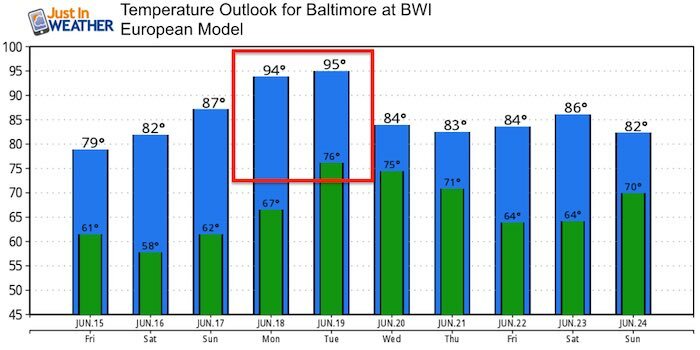 But I see something in the middle that will result in Baltimore having two or three days in the mid 90s. 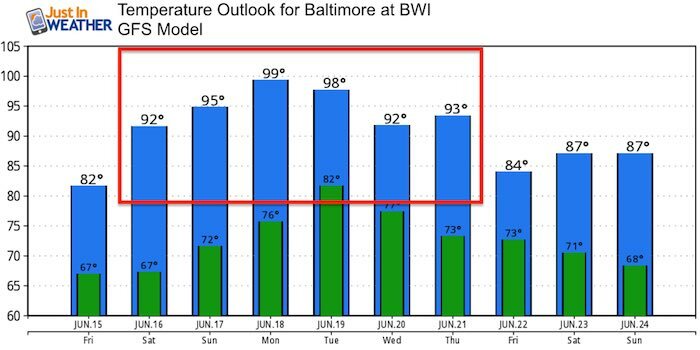 The hottest days will be Monday and Tuesday.